It’s been a fun week in Bogota and Mexico City and it’s sad to have to head back to New York (you don’t hear that too often!). The week has been such a great opportunity for students who want to get involved in real estate to learn about how the industry operates in emerging Latin American markets. 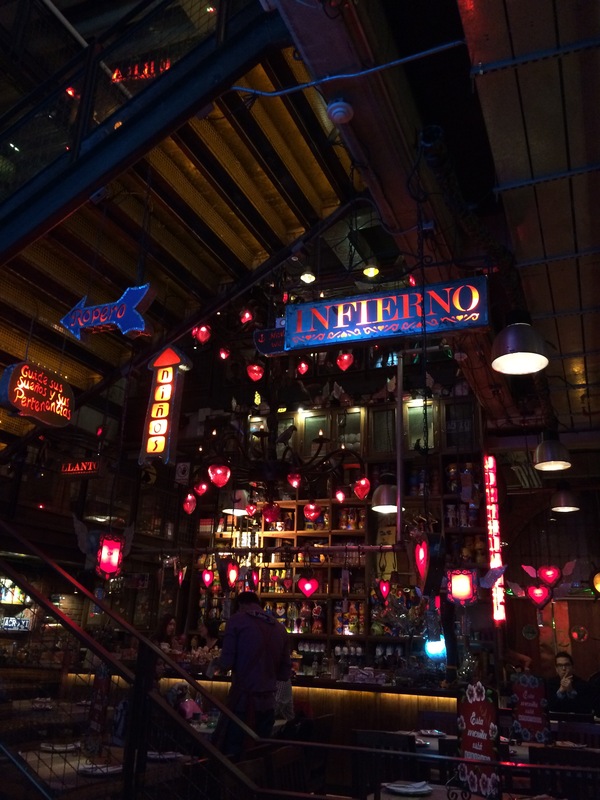 We’ve visited great firms doing ground-up development, redevelopment, and investing all across Latin America, and we’ve certainly visited our fair share of cultural spots in both Bogota and Mexico City. I also would be remiss if I didn’t thank our trip organizers Juan, Jonathan, Minna, and Alex for doing such a great job organizing everything. The trip itself was so seamless, and that made it all the more enjoyable. Bogota Was a Blast…Now Off to Mexico City! It’s been a jam-packed three days for us in Bogota. Most of us arrived Saturday night, and then woke up to a full-day of site-seeing around the city on Sunday. We started with a tour of the old city, and took an incline up to Mount Monserratte, where we could see the entire city. You truly can appreciate how big Bogota is when at the top of the mountain. 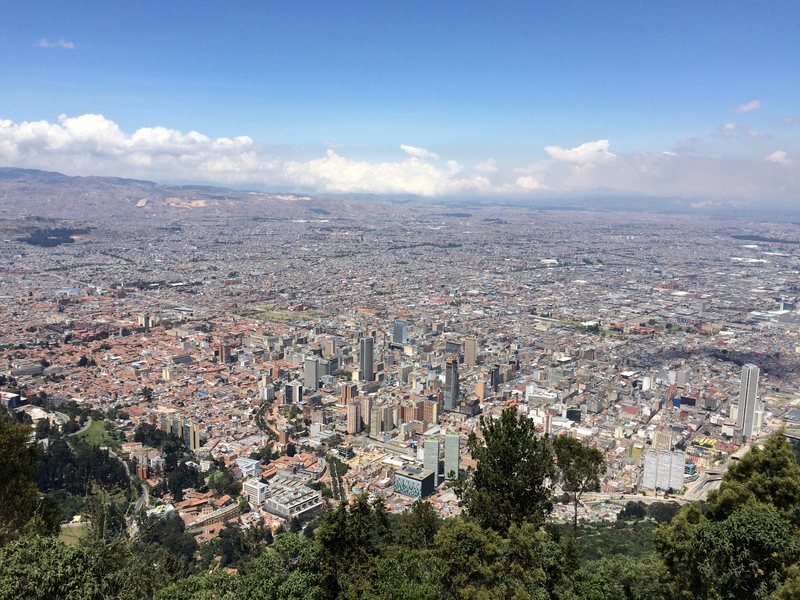 Bogota itself is about a 20-mile long city that has a population of over 8 million. With so many people, traffic is a huge problem in the city and can take upwards of an hour to travel only a few kilometers. We’ve been lucky to get to all of our visits on time since our awesome tour planners baked in plenty of travel time (thanks Juan, Jon, Minna, and Alex!). From there, we went to the Museo Del Oro, which houses a large collection of gold jewelry that was extremely important to many of the indigenous groups of Colombia. The highlight of the day for me was going to the Museo Botero, which has many paintings and sculptures of the great Colombian artist, Fernando Botero. Botero is famous for (how should I put this politely) painting “fat” figures, as he once put it. Botero actually exaggerates the proportions of people and objects, which are often intended to be political satire. Monday and Tuesday were both full of company visits, speaking with some of the most dynamic real estate development and investment firms in all of Latin America. We started off Monday speaking with Gregorio Schneider (CBS ’96), the Founder of TC Latin America Partners. His firm partners with local developers to construct for-sale apartments, which there is a huge shortage of in Bogota. Later in the day, we visited with Avenida Capital, co-founded by Michael Teich (CBS ’00). Avenida also focuses on for-sale apartments, but also partners with developers to create retail and office space across Latin America. We spent Tuesday with Terranum Capital, founded by Jose Ignacio Robledo. Jose Ignacio spoke with us at length about Terranum’s business platform, which includes residential housing, commercial office development, and hospitality. Terranum both develops and acquires its properties, and has its own architecture arm and property management firm. Jose Ignacio was a pioneer in the real estate market in Colombia, working with government authorities to create the first REIT structure. Terranum’s REIT, PEI, was created in 2006 and is currently the only REIT on the Colombian Stock Exchange. 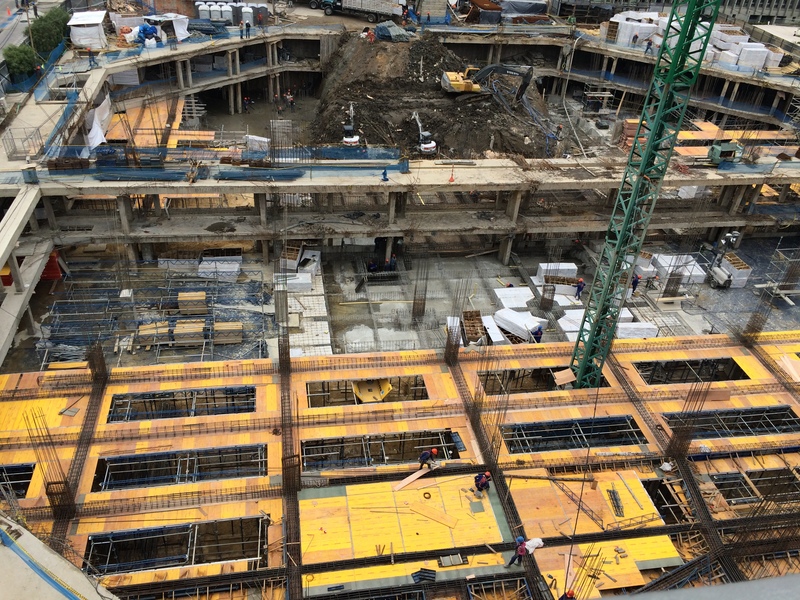 From there, Terranum’s team showed us around its new developments, including Connecta, a mixed-use development near the airport that is setting the standard for commercial office space in the city. We concluded Tuesday with a CBS alumni reception at the newly-opened W hotel in Bogota, which was great for us to network with fellow CBSers both in and outside the real estate industry. Now we’re off to Mexico City! Catch up with you all in a few days. Ahh packing…that thing we think only will take ten minutes, so we put it off until an hour before leaving for the airport. But somehow it always gets done and it’s a nice surprise to see what you actually packed when you get to the other end. In a few hours, a large group of CBS students will be taking off for Bogota, where we’ll be touring the historic center of the city, known as La Candelaria, which has much historical significance and is a great example of Spanish colonial architecture (we are in real estate after all so it seems fitting to start with a focus on the buildings). We’ll also be visiting Plaza de Bolivar, where a statue of the great emancipator Simon Bolivar is located. On Monday, we start visiting local real estate businesses to learn the ins and outs of the booming Colombian property market. 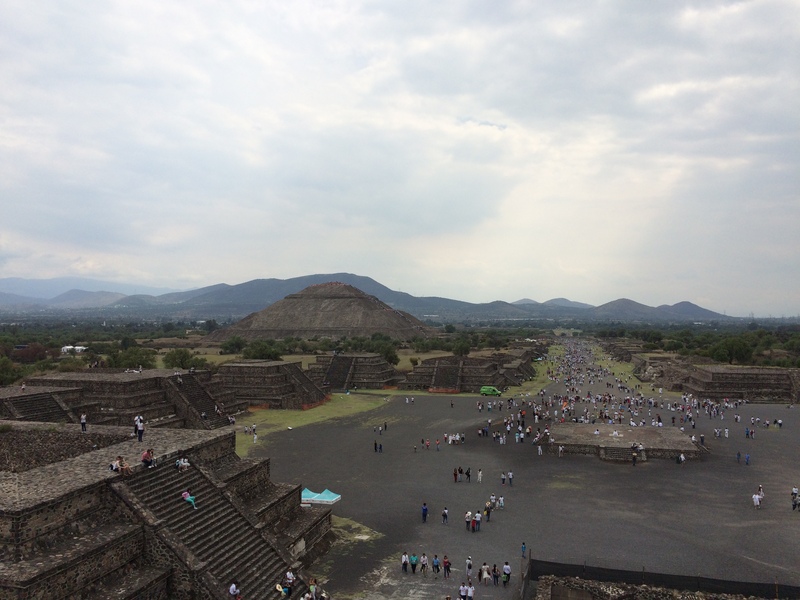 Then on Wednesday, we head to Mexico City for more architecture, business visits and great food. Jealous yet? Stay tuned for updates throughout this week. And wish me luck as to what I find in my suitcase on the other end….